I've been on the road a lot lately and that has me missing home. 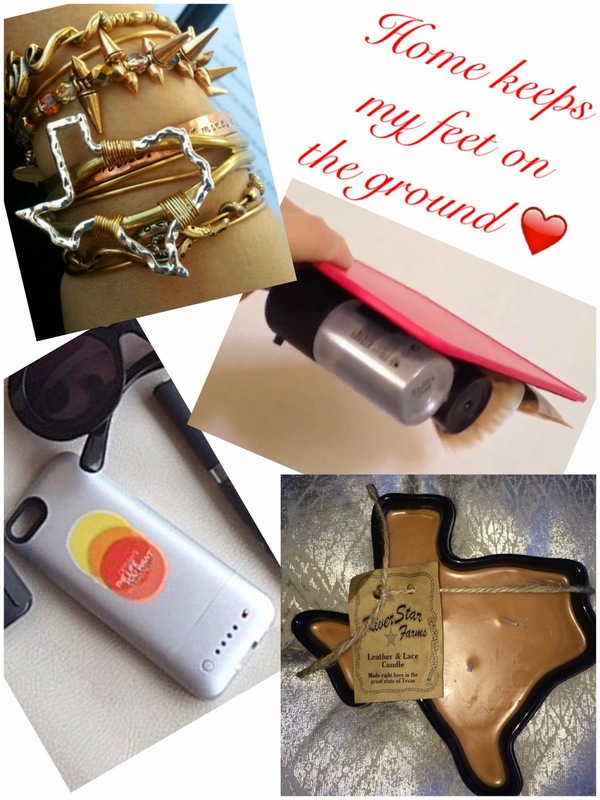 So My Favorite Items of the Week are all about Texas and ease of travel. You can't go wrong with this beautiful Texas shape bracelet. It goes with pretty much any outfit and blends effortlessly with other accessories. It's the perfect balance between State Pride and chic. You know how your make-up is all over your purse? Well this is the perfect solution. It is neat, compact, and easy to see, and exactly what my purse needs. I saw this on Instagram right before I left the states and can't wait to get my hands on it. This is a must-have while traveling. It helps give my phone an extra charge without taking up too much space. I know I will always be able to capture the moment with this battery handy. How pretty this looks on my coffee table is ridiculous and it has the most amazing smell. I have burned mine many times and it looks like its barely been on. Those rare moments when I get a minute on the couch, this is a friendly reminder that yes, I am home. Hope you SpoiledOnes love these as much as we do. I can't wait to be home!